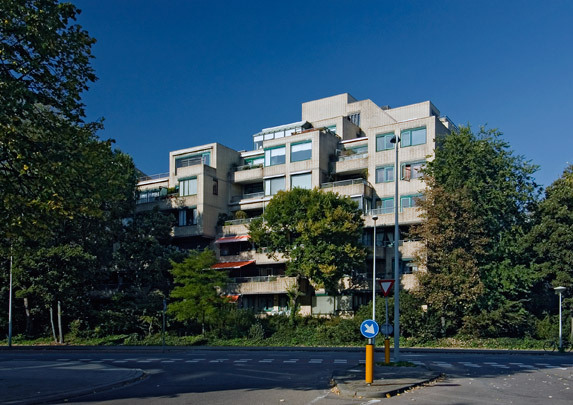 This S-shaped apartment block has five basic unit types accessed from a central corridor or from external galleries. The entire complex sits on an underground car park with a green roof. In itself a successful attempt at high density housing, the unity of the whole has been sacrificed to the multiplicity of its parts by an over-exuberant desire for variety.